The Independent National Electoral Commission (INEC) said it verify the signatures of petitioners for the recall of Sen. Dino Melaye, from the Senate on July 3. 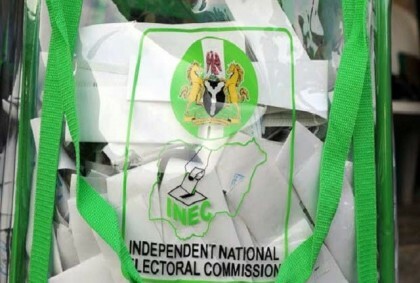 The commission stated this in a statement on Thursday in Abuja by Mallam Mohammed Haruna, National Commissioner and Member, Information and Voter Education Committee of the commission. 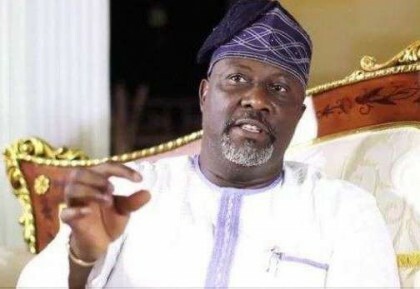 The electorate in Kogi West Senatorial District on Wednesday submitted petition to INEC in Abuja, demanding the recall of Melaye on grounds of poor representation in the Red Chamber. The commission, which acknowledged receipt of the petition, said that decision to begin the process in the constituents’ demand was reached at its meeting on Thursday. It said that it had the receipt of the petition for the recall to Melaye through a letter. “The next step is to verify that the petitioners are registered voters in Kogi West Senatorial District. “INEC will on July 3, 2017 issue a public notice stating the day(s), time and other details for the verification exercise,’’ it stated. The constituents of Kogi West, led by Chief Cornelius Olowo, had shortly after submitting the petition, told the News Agency of Nigeria (NAN) that the move to recall Malaye was based on his “abysmal performance’’. He also said that the lawmaker had been disconnected from the electorate since he was elected to represent the district in 2015. Olowo accused the senator of distancing himself from his constituents.